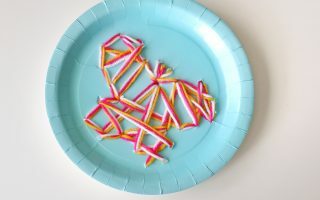 Well….I have a cute, easy, inexpensive, fun, perfect for little kiddos craft idea! 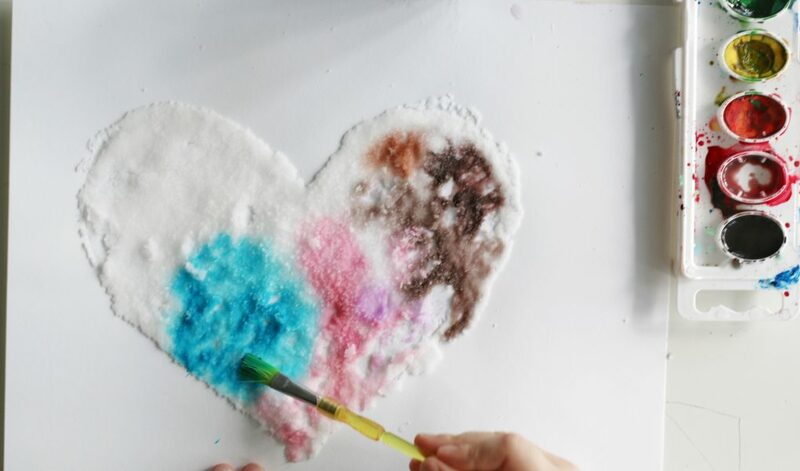 These Salt Hearts are beautiful and so exciting to make! 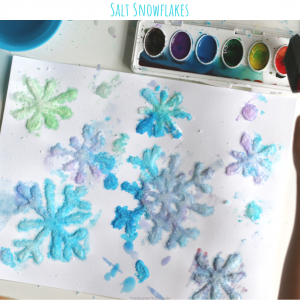 All you need is some basic art supplies and salt, that’s it! It literally took me less than 3 minutes to create two hearts for both of my kids, yes 3 minutes! 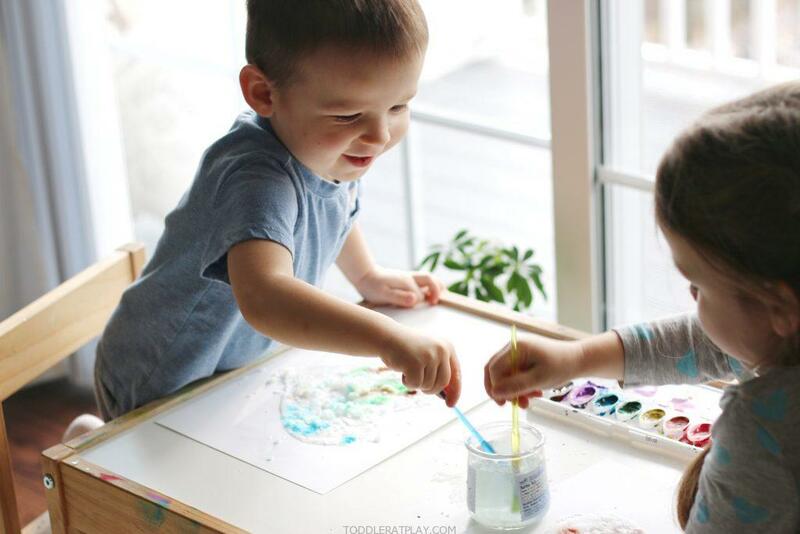 It can’t get easier than this, but let me tell you, your little ones will love this painting experience! 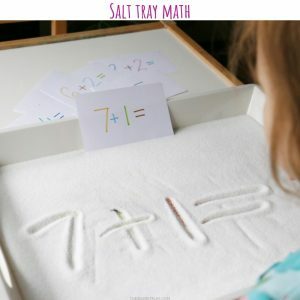 You might also enjoy these salt activities! 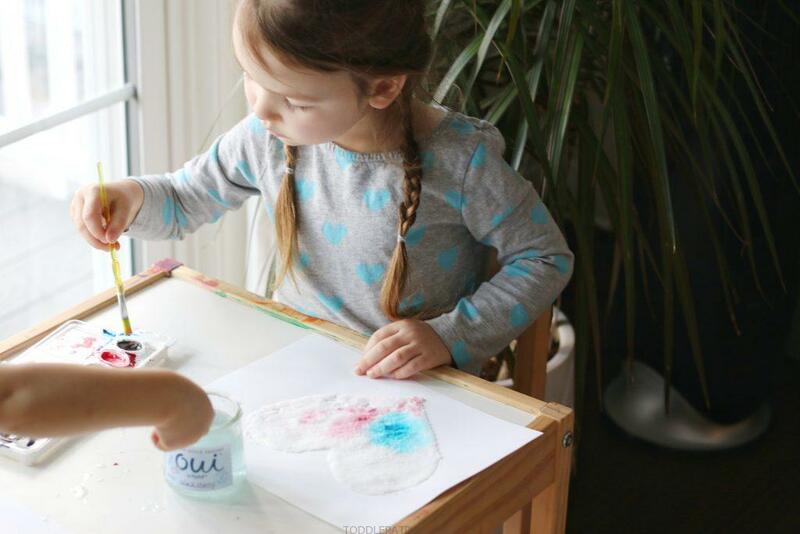 On the cardstock, draw a large heart with the liquid glue, filling the heart in. Sprinkle lots of salt over the glue and gently shake off excess. DO THIS STEP OVER THE SINK FOR EASY CLEAN UP! 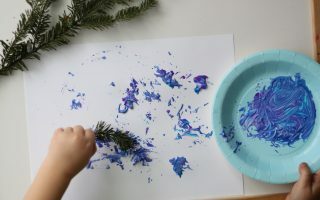 Let it dry (sometimes I pop it in the freezer if the kiddos can’t wait!). Your set-up is done! Now it’s time for some painting! 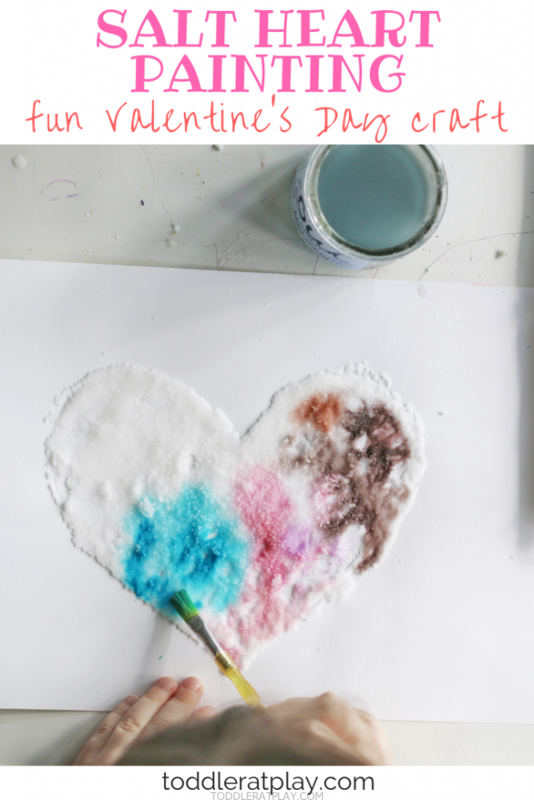 Let the kids dab gently a watered down paint color over the heart, the paint with spread beautifully blending all the colors together! 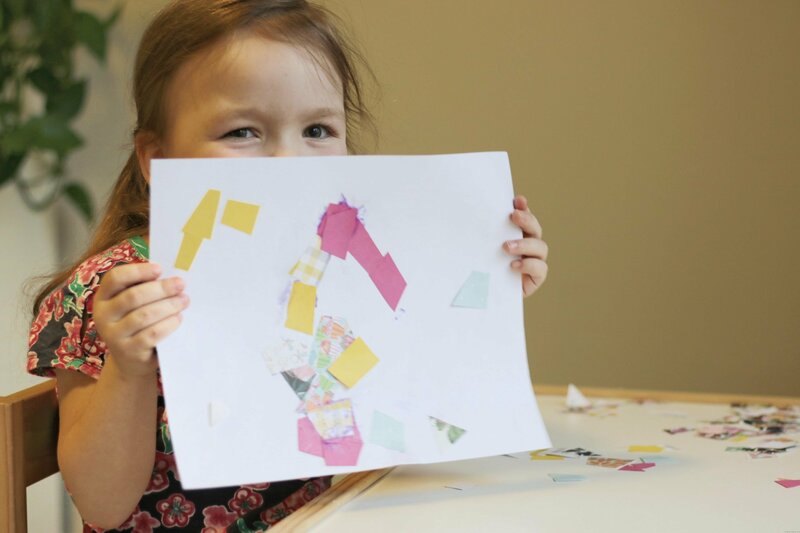 WATCH THIS ACTIVITY THAT IMPROVES SCISSORS SKILLS! 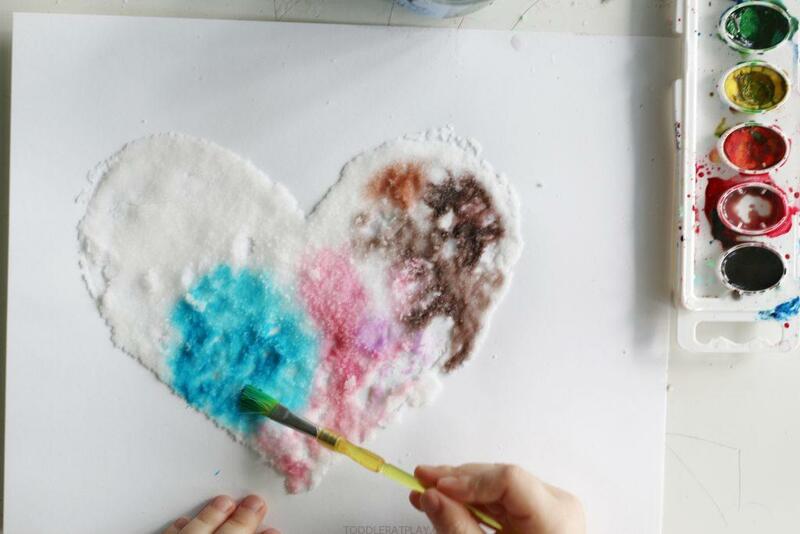 ARE YOU READY TO CREATE THESE BEAUTIFUL HEARTS THIS VALENTINE’S DAY?